This is a pretty skimpy documentary on arguably the greatest jazz singer of the 20th century, but I like that it's light on narration and heavy on clips of Holiday in action. 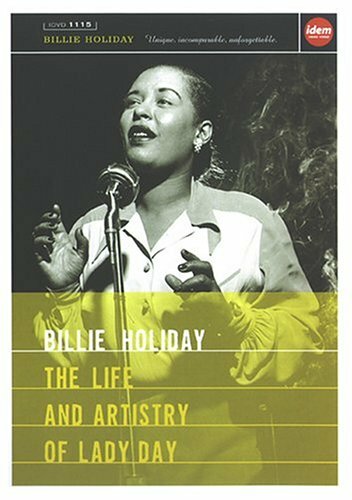 It goes a bit into her lurid affairs and bouts of drug addiction and includes lots of clips of jazz "soundies" that were released in theatres, and also some later pieces from television. In one memorable clip, she sings the haunting "Strange Fruit" in its entirety. (There's even a quick comparison between the younger, more vibrant Holiday and the older, more worn-out, huskier-voiced Holiday.) As for extras, we get all of Holiday's scenes (and songs) excerpted from the film New Orleans (1947), also starring Louis Armstrong. There's a discography, but it mainly contains all the "greatest hits" packages from her various stints at different labels. Other extras are mostly text-based, and will contain good information for a casual fan, but not really enough for a rabid fan. For some reason, the writer(s), director and British narrator are all uncredited.